This mini-challenge focuses around creating a mash-up between reading and other things we really love to do. Technically, we are supposed to mash it up with a non-bookish pursuit, but let’s be honest – so far this year I have read 45 books. I really don’t DO much else except hang out with the family and I didn’t think the normal readers of this blog would love a top 10 children’s books or something. Of course, I have some other hobbies like cooking and music and whatnot, but nothing really rises to the level of my love for reading. So! I decided to mash-up books with books! 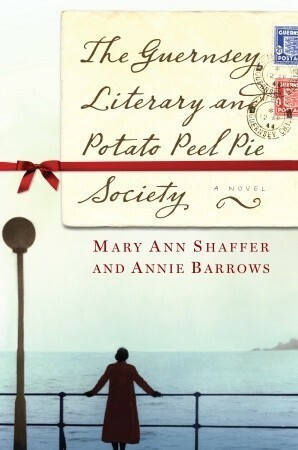 I love a good book that is about books. I’ve listed some of my favorites below, but I would also really love to know if you have read any other book-based fiction. This book is like a cross between the National Treasure movies or the Da Vinci Code and an afternoon spent in your favorite bookstore. It explores the differences between e-books and physical books, and at the end of the day is basically just a love-letter to books themselves. 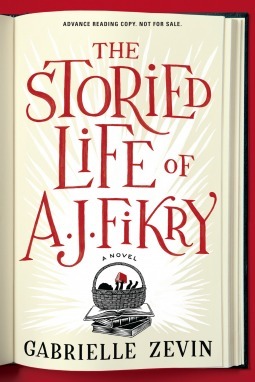 Anyone who loves books will end up being charmed by this one. 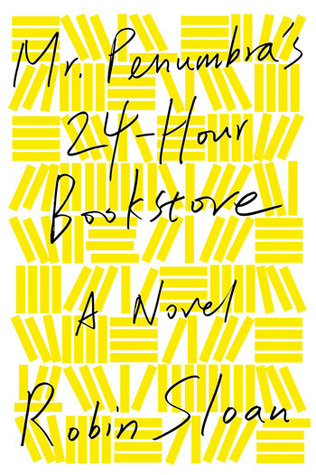 If Penumbra is a love-story about books, this one is a love-story about booksellers. Full disclosure, this one isn’t released until April 2014, and I’ll do a full review of it before that time. But suffice to say that if you’ve ever fallen in love with an independant bookstore or spent hours upon hours in a library, you cannot help but love this book. I guarantee that book bloggers will be highlighting the crap out of this one and I will be highly recommending it as it comes out. 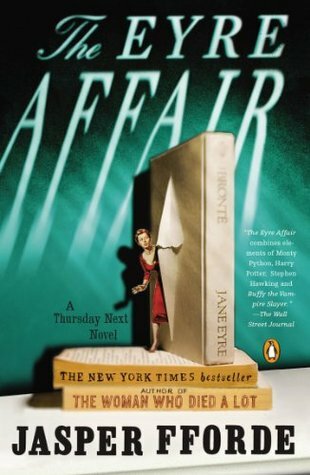 The Eyre Affair is the start of an excellent series by Jasper Fforde, written in his usual irreverant, fantastical style. The books are set in mid-1980s London, and there is a part of the police force that is required to jump in and out of books to deal with things that may go wrong inside the pages. There are scads of inside jokes for readers and book lovers and it’s just a really fun take on the importance and static-nature of literature. This one is a little different because it’s not exactly a study on books themselves, but it is a different take on a beloved character – Sherlock Holmes. This series is set sometime after the Conan Doyle writings on Holmes have been published, but as though Holmes was a real person all along. 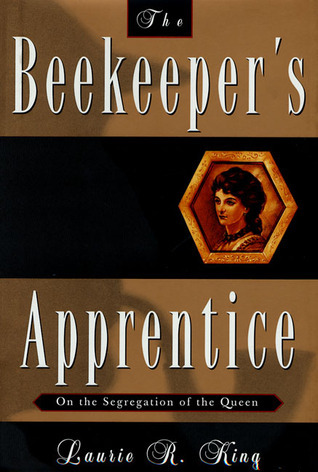 He takes on a new apprentice, one more his equal in many respects than the Doyle version of Watson (spoiler: he’s not actually as helpful as Martin Freeman) — a young, American woman. They go about solving crimes and foiling plots together in the usual Sherlock-ian manner, and it’s just a joy to see this different side of that character. My Love-A-Thon partner Rachel just posted an awesome review of Cress and Marissa Meyer just came here to Dallas for a book signing, so we thought we would take the opportunity to offer you guys a signed copy of the book! Just follow the handy dandy steps in the Rafflecopter below anytime between now and Monday. We will contact the winner by February 19! Just click here to enter – a Rafflecopter giveaway!!! 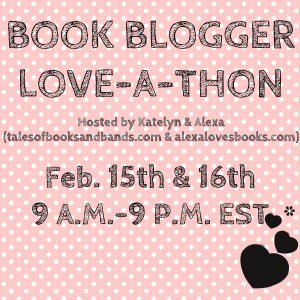 Time for a #LoveAThon – Plus a Giveaway! As part of the Love-A-Thon, the awesome hosts pair us up with another blogger to do a little interview and get to know them. I about lost my little mind when I saw I was paired with Rachel from Tiger Lily Rachel. She is one of my favorite book bloggers and I am really excited to potentially introduce her to someone who might not already know how awesome she is. 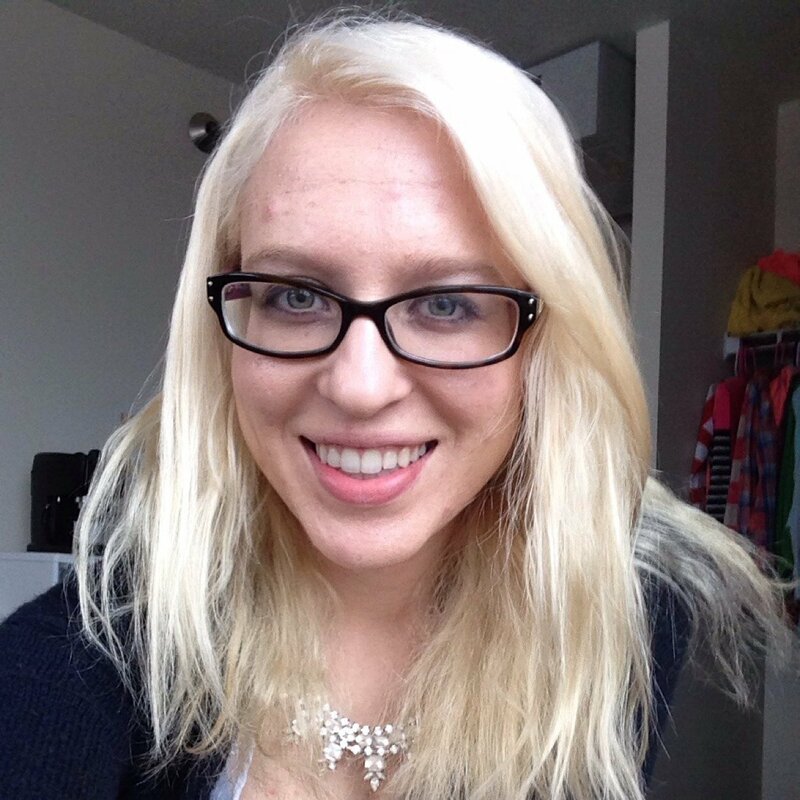 She primarily blogs about books, but also music and gives some great blogging advice. I love the voice of her blog and think her reviews are spot on. You should DEFINITELY go check her out if by some chance you haven’t already – and you can read my interview with her over there as well! How long have you been blogging and what are some of your high points from your blogging history? I’ve been blogging since July of 2012, so about a year and a half! I think some of my high points include getting the chance to interview Leila Howland (author of Nantucket Blue) and going to BEA. What’s your favorite genre to read and why? My favorite genre is contemporary YA. It’s what I relate to the most and I love seeing how other people/characters deal with situations that I’ve been through. What’s your go to strategy for busting a reading slump? First I let myself take a few days off. Most of my reading slumps come from reading a lot of books one right after another, so sometimes I just need time away. Then I’ll pick up a book that I can almost guarantee I’ll like and that isn’t for review, and that generally helps. What do you do with your time aside from blogging? Well, I’m a student so I spend a lot of time in classes/doing homework. But hobby wise, I’m often out for coffee or lunch with my friends, and probably shopping too. I love to go to concerts with friends as well. One of my favorite parts of your blog is your musical recommendations – do you listen to music when you read? Do you have any other reading habits or traditions? Aww, thank you! I do not listen to music when I read. I can’t concentrate at all and prefer to read in silence. One reading habit I have is I always have to read before bed or I won’t be able to fall asleep. It helps take my mind off of things and relax. I also can only read one book at a time. I was recently reading three books at a time and that was a disaster. How do you prefer to read – e-reader, hard copy, library books, paperbacks? Hmmm. I prefer to use my kindle when I’m reading in bed because I can read in the dark, and I love that I can carry hundred of books with me, but I don’t know if it’ll ever replace hard copies. I love holding a book in my hand. Ooh! I like this one. Right now I’d say When You Were Mine by Rebecca Serle, This Song Will Save Your Life by Leila Sales, Clean by Amy Reed, Moonglass by Jessi Kirby, and Unbreak My Heart by Melissa Walker. What character that you’ve read do you think would make an excellent friend? This is biased because I’m in love with him, but I’d love to have Perry from Under the Never Sky as my friend. On my blog at Tiger Lily Rachel, on Twitter @tigerlilyrachel, or follow me on Instagram for bookish pictures at tigerlilyrachel. 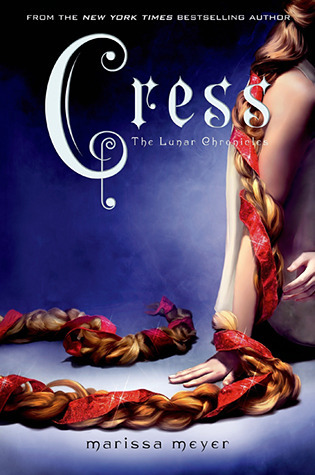 Rachel just posted an awesome review of Cress and Marissa Meyer just came here to Dallas for a book signing, so we thought we would take the opportunity to offer you guys a signed copy of the book! Just follow the handy dandy steps in the Rafflecopter below anytime between now and Monday. We will contact the winner by February 19!